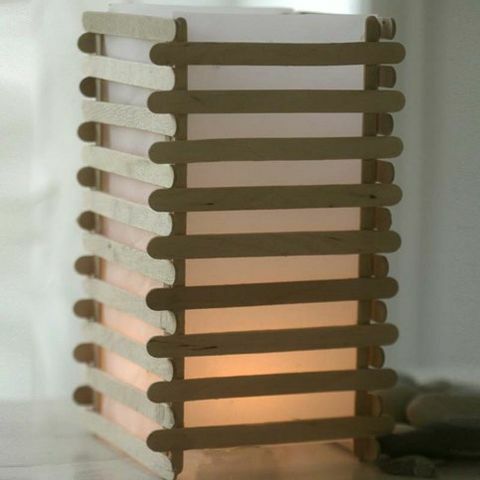 This Japanese inspired square lantern for tealights is made with staggered slats made from lolly sticks which are glued together. The inside of the lantern is lines with transparent paper which creates a soft light when the lantern is lit. 1. 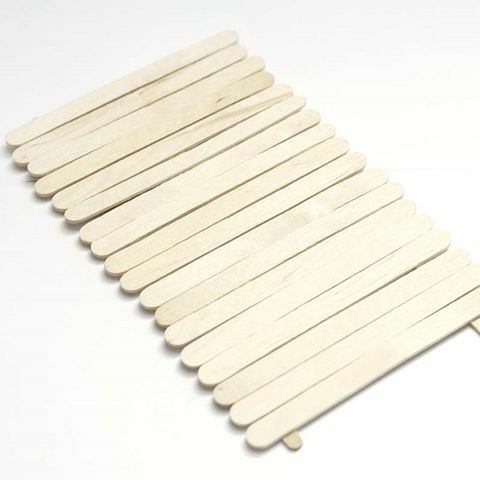 Arrange two long lolly sticks parallel 8cm apart. 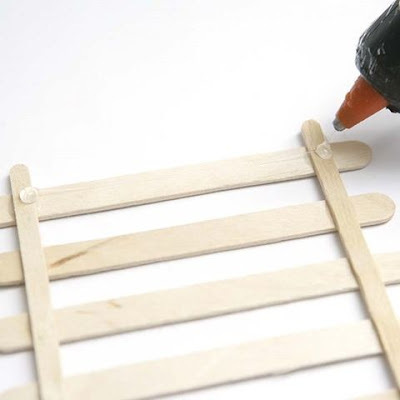 Apply a blob of glue at each end of both lolly sticks. 2. Attach a standard size lolly sticks across the top of the two long lolly sticks. 3. Place another standard size lolly stick next to the glued-on lolly stick. 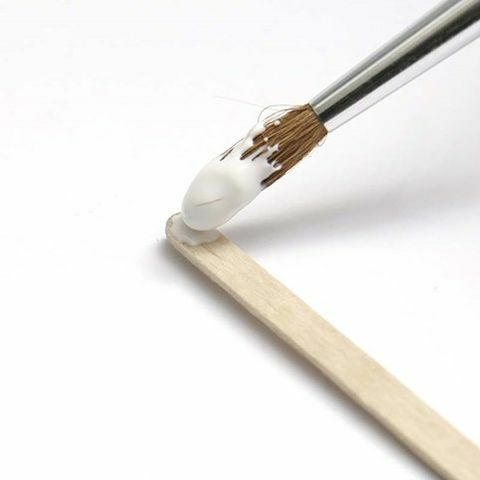 This is used for measuring the distance to the next standard size lolly stick. There should be the width of a lolly stick between each glued-on lolly stick. 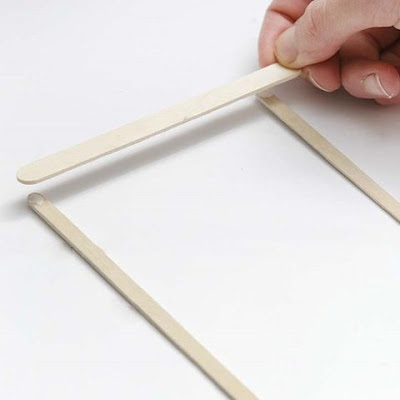 Continue this process and attach every other lolly stick with glue all the way along the long lolly sticks. 4. 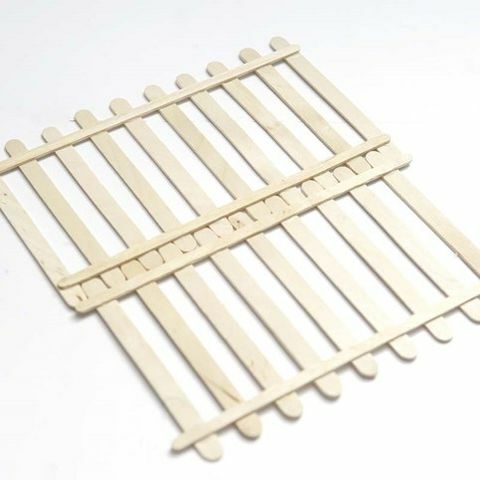 Remove all the lolly sticks that have not been glued on and a slatted pattern appears. 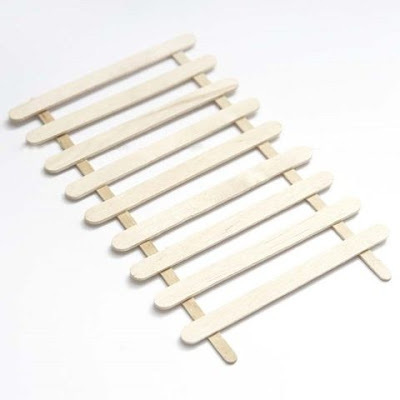 NB: make four sides for the lantern by following the procedure described in paragraph 1-3, making two sides with nine lolly sticks across and two sides with ten lolly sticks across. The slats can then be connected into a square when assembling the lantern. 5. 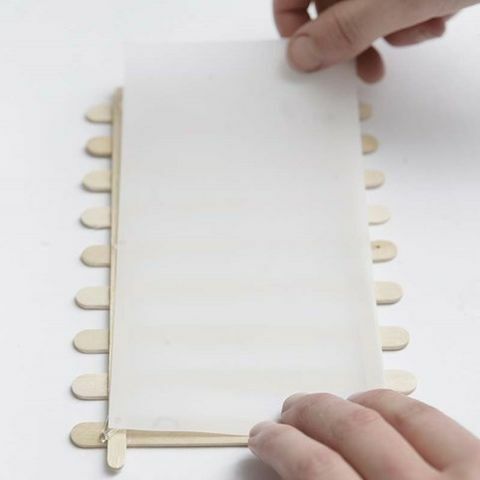 NB: Gluing the two sides with ten lolly sticks will start one lolly stick width further down than the sides with nine lolly sticks. 6. Measure the four sides of the lantern and draw the measurements onto a piece of transparent paper. Cut out. Apply a blob of glue in each of the four corners on the four sides. 7. 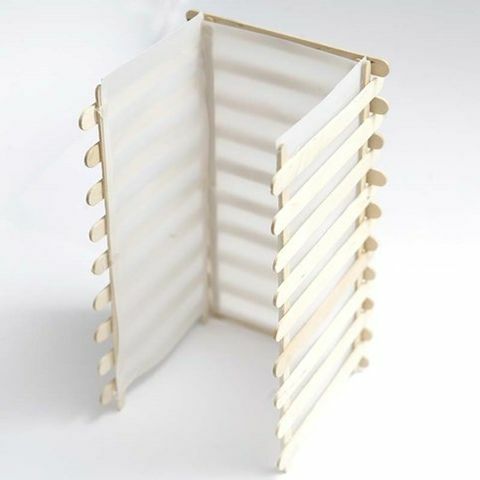 Attach the transparent paper onto all four sides. 8. Assemble the four sides of the lantern with glue by connecting the slats of each of the four sides into a square.